While technology has infiltrated almost every sector, it has yet to be fully utilized by the legal sector. The main reason for this is the tight regulations and strict privacy requirements that are standard throughout legal organizations. However, because of the security and privacy that is associated with blockchain, this may soon change. The technology is currently be explored by various firms and legal institutions in order to test out possible use cases and see how it could benefit the sector while still providing the necessary security. The following provides a look at how blockchain works and the legal blockchain proofs of concept that are currently being developed. The best way to look at a blockchain is by comparing it to the alternative method that people and businesses have been using. In terms of money, societies have relied on banks and other trusted intermediaries for centuries. At their core, banks are a middleman. They facilitate transactions between consumers and suppliers. They perform tasks, such as record keeping and authentication, that build trust into the transaction. This type of trust provided by middlemen has been essential when it comes to digital transactions simply because digital assets, whether money or intellectual property, is just a digital file. It is easy to duplicate, enabling theft and the same unit of value to be transacted on multiple occasions. It is for this very reason that digital assets could not be transferred peer-to-peer. A middleman has historically been necessary to facilitate this process. A blockchain eliminates the need for a middleman, it allows consumers and suppliers to interact directly with complete trust and transparency. A blockchain is able to accomplish this because it is a decentralized database. The record of transactions can be viewed by every person in the network. It is important to note, though, that while transaction amounts can be seen, the personal details of the parties involved are encrypted to provide privacy. This decentralization is enabled by the individuals who are connected to the network through computers. Before any transaction is recorded,it must be approved by the entire chain of computers. To provide an example: Using Bitcoin, Party A wants to pay Party B for a service. Party A submits the transaction. A 'block' represents this transaction on the online network. The block is shown to each computer in the network. All of these computers approve the block, stating that it is a valid transaction. Once approved, the block is added to the chain of other blocks. It can not be changed or moved. The money is sent from Party A to Party B. Every computer in the network has a record of this transaction, as well as all of the other transactions in the chain. 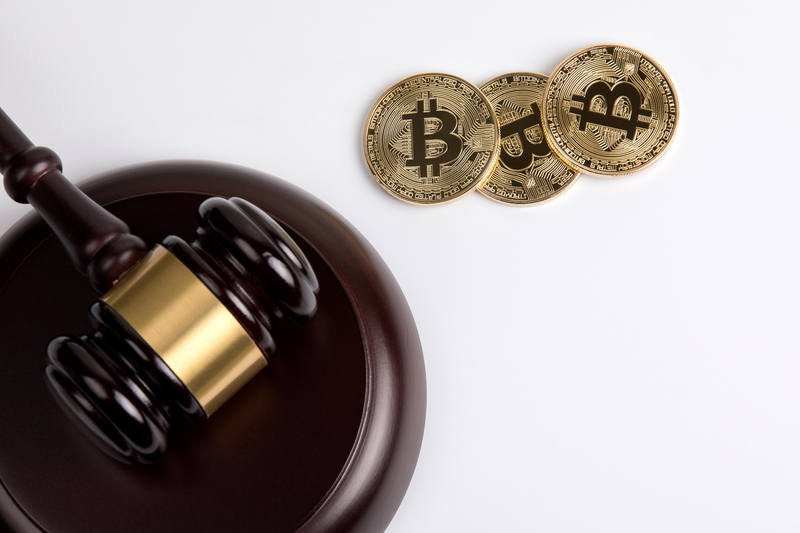 For blockchain developers, the legal industry is uncharted territory. There are seemingly endless possibilities for how the technology could be applied to the various processes and systems in the sector. The following provides a look at a few of the blockchain proofs of concept that are currently being developed for law firms and legal organizations. Notary publics are the standard for verifying various types of documents and any signatures on documents. Historically, these documents have only been available in physical format. In other words, only documents that have the notary's stamps are legally recognized—no physical copies or digital copies. Blockchain is allowing this process to become more digital. Instead of a rubber stamp, notary publics are able to use digital timestamps and fingerprints to notarize documents. These documents are then uploaded to the blockchain and are preserved there indefinitely. There is no need for a physical copy or to revisit a notary public to get a document notarized again. One of the most popular applications for blockchain in law is smart contracts. The main reason that developers and the legal industry are investigating the potential of this use case is the simple fact that contracts are time intensive. They must be original documents that are physically signed.Additionally, many contracts require manual intervention. For instance, if two parties enter into a contract where Party A agrees to sell a commodity to Party B if/when a certain event occurs, Party A and Party B must still manually go through the process of buying and selling, setting up bank transfers and following through with the necessary documentation. Smart contracts simplify this entire process. Blockchain digitizes contracts so that all signatures can be provided digitally and the contract is coded to set the necessary processes into motion in a very automated way. In the example above, the bank accounts would be linked to the contract and money transfers would be automatically made, as would any necessary legal documentation. The new system for contracts would require less intervention from lawyers and provide more security with any contractual agreement. Much of the IP that exists in the world has been nearly impossible to protect. Music, digital art, writing, code, and more can be illegally downloaded and uploaded. Artiststs and other professionals that create this work go unpaid and are rarely asked for permission. In order to try and prevent this theft, lawyers have often ended up chasing individuals and businesses around, filing lawsuits, and collecting fines. Blockchain is going to end this cat and mouse game. The technology will allow creators to register their intellectual property. It will then be anchored to the technology so that when it is used on the internet without permission, it can be easily taken down or the party that is using the material can be charged for its use. This will change IP management for lawyers everywhere, allowing them to keep a handle on each and every piece of IP that they oversee.